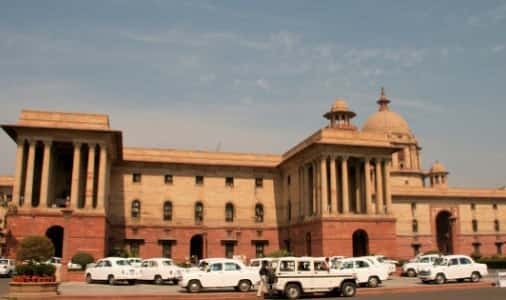 The Prime Ministers Office (PMO) which was previously called as the Prime Minister’s Secretariat until 1977, is the immediate staff office of the Prime Minister of India. It is situated in south block of the secretariat building. The head of the PMO is Principal secretariat. The 20 room PMO is equipped with infrastructure and enough manpower to support the nation’s chief executive. The main agenda of the PMO office is to ensure the execution of political interests of the Prime Minister and the governing ruling party. The office also contains multiple level of support staff reporting to the Prime Minister. Currently the principal secretary is Mr. Nripendra Misra. The PMO is the administrative agency created under the provision of Article 77 (3) to facilitate secretarial assistance to the political interests of the Prime Minister. The composition of the PMO varies with the ruling political leadership during the tenure of their service. The PMO has the flexibility of size and number of staffs to be appointed. The PMO office contains one or two additional secretaries along with the Principal Secretary. There are 5 joint secretaries. There will be deputy secretaries and directors who are recruited from civil services. The PMO organization contains the following departments, regulatory boards, public sector, Research and development center, Aided sector having educational organizations, Industries and Mining sector, department of space and project monitoring group. Provide secretarial assistance to Prime Minister of India. Help Prime Minister to be in charge of his responsibilities and his relationship with union ministers and state government for the matters of his keen interest. PMO office also maintains the public relations of the Prime Minister and ensures all the civil societies are in line with Prime Minister’s agenda. PMO is also an important platform for all the public grievances against the administrative system or if any ruling party policy that is not in the interest of the public. PMO provides subject matter expertise to the Prime Minister in case of any administrative doubts. There are various other functions the PMO of India works to achieve the objectives of the Prime Minister. The fund for Prime Minister’s National Relief Fund (PMNRF) and National Defense Fund are facilitated from PMO office. The PMNRF was established by Nehru to provide assistance to the displaced public during the partition of India in 1947. The PMO also helps the PM in maintaining the international relationships, internal security and defense preparedness. A centralized PMO helps to formulate weak policies and fill the gap that careless ministers have created during various tenures. The regulation of power in PMO office is decided by the Prime Minister. The constitution and the political system has no authority over the power distribution in PMO. The PMO was anarchic when H.D Gowda became the prime minister whereas the authority in PMO was more centralized during Indira Gandhi’s era. The principal secretary has the most influential role when the Prime Minister needs a second opinion in government related matters. The principal secretary is usually a senior civil servant or a retired bureaucrat belonging to Indian administrative Service. The Prime Minister of India, Mr. Narendra Modi consolidated the portfolios of many state ministries to ensure there is better coordination and cooperation. PMO gave extra responsibility to Ministers of State with independent charge that enables a strong PMO and reduces the intra-agency conflicts. This strategy of Narendra Modi to centralize the PMO at root level made strong progress in solving political conflicts. On the downside, too much of centralization resulted in every file going to the prime minister office which made most of the ministers powerless. Cabinet secretary also reports directly to the Prime Minister which at times gives a strong competition to the PMO office. The Cabinet secretary is the head of civil service and is also chief coordinating authority in the government. However, the role of either depends on the Prime Minister and the political climate of the country. PMO focuses on the interests of the Prime Minister whereas Cabinet secretary’s focus is the interest of all the cabinet members as whole. Both the systems run in parallel to meet the needs of the political system. However, Cabinet is always under constant battle with PMO as it interferes with the Cabinet member’s interest. There is a history of the PMO shuffling the cabinet ministers many times due to the competition among each other. In a way, this mutual competition is good for the economy as it will keep each system in reality check. How PMO deals with Petitions received? PMO office is the most important government body that handles many petitions a day. It categorizes the petitions into two namely, Actionable and Non-Actionable. Non-Actionable petitions include anonymous petitions, unsigned petitions, letters written in foul language, request for free tickets, letters from foreigners indicating India’s international matters, domestic requests related to land, house and flat etc. Actionable petitions include letters for specific grievances, petitions containing significant suggestions, petitions seeking appointment with PM and petitions alleging corruption in ministry/organization/state government or any public servant. Depending on the type of actionable petition, the petition will be send to either public filing or forward to respective ministries in the government or process a file of suggestion in PMO. Approximately, the PMO of India receives 200 petitions per day. PMO can be contact by email, Facebook, Twitter and Fax. The Prime Minister plays key role in choosing the PMO staff. However, once PMO is established, major decisions related to governing India or international matters happen with the consult of the PMO office. As it contains many executive individuals, the impact is huge. The rise of PMO in India has not only brought development but has exponentially developed the economy and helped create a diverse portfolio across the world. As PMO is such a powerful government body, the prime minister must play the role of dynamic decision maker, facilitate development strategies and formulate the policy within the PMO to make it more stronger, reliable and worthy of the country. Few say PMO is also a parallel government that rules India which should not be the case as every ruling party has positive and negative agenda. It is the cooperation, collaboration and coordination with PMO that will make the Prime Minister a great leader and India a great country.